This quote probably ranks somewhere in the top 3 among surgeons when operating on "challenging" cases. It simply is not enough to know how to perform an operation, but also plan for any possible complications that might occur when minutes if not seconds count. Certainly, the surgeon does not want to waste time coming up with a plan B or C on-the-fly if something untoward happens... but rather, it has already been figured out even before the initial incision was made. That got me wondering where exactly did this quote come from... Doing a google search comes up with numerous sources including Lee Child, Denis Waitley, Steve Hunnewell, etc. 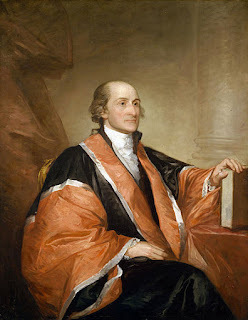 But perhaps the true source of this quote comes from John Jay, an American statesman, diplomat, one of the Founding Fathers of the United States, signer of the Treaty of Paris, and first Chief Justice of the United States (1789–95).